It's officially 114 days before Christmas! It is September once again! You know what that means? 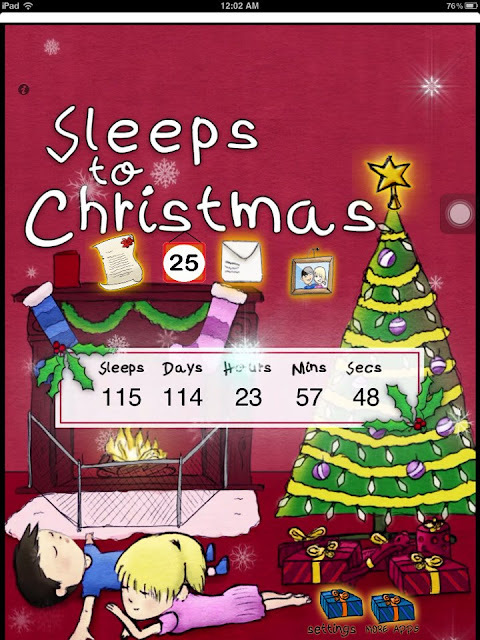 The countdown to Christmas in the Philippines begins. This predominantly Catholic country celebrates Christmas quite longer than any other country in the world. The "Ber" months (SeptemBER, OctoBER, NovemBER, and DecemBER) is quite long to celebrate Christmas. It's quite amusing for someone not familiar with Filipino culture. Did you know that it is only 114 days until Christmas? Okey, you’re either squealing with delight right now or you’re sending me death stares through your computer screen. Either way, if you’ve known me for a while, you will know that Christmas is my most favorite time of the year and I love planning for Christmas as much as the holiday. Malls start having their yearend sales and other promotional activities to boost and stimulate consumer shopping spree. Parols and Christmas decorations now start appearing like mushrooms. There are lots of people that at least are excited about christmas and not just the day, but the season as a whole. Never mind counting all the way to December 25th the Christmas season starts to unfold in all its glory after this coming week is over. You can find the decorations, music and everything barely after starting November. That festive season is just about here, Yippeeeyyy! Anyways, before Christmas is my birthday, let's celebrate first my birthday on the seventh of December. Okey? Haha!